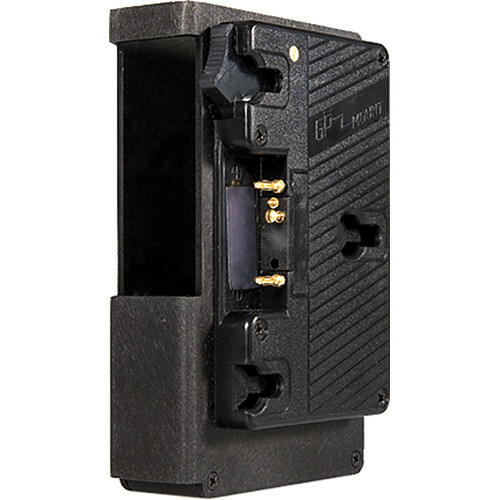 This Single Mount Battery Plate from Teradek allows you to power your Bolt Pro 300, 500, 600, 1000, 2000, or 3000 transmitter using a Gold mount 14.4V battery. It offers one P-Tap accessory output (50W maximum) on the side and includes an 11" long P-Tap to 2-pin connector cable. Box Dimensions (LxWxH) 6.5 x 6.3 x 3.7"